There has been steady growth on Tower Avenue for the last several months. 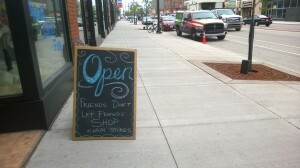 Several new businesses have opened up and more and more people seem to be walking the sidewalks enjoying the exciting atmosphere that these new businesses have created. The Business Improvement District, The Development Association, and many more community partners have taken major strides in creating an environment in which businesses want to be a part of. One such business—a group of three entrepreneurs, friends, and style conscious women have recognized the potential of the city of Superior, specifically Tower Avenue. They have decided to venture into the retail business. Aimee Glonek, Anndrea Ploeger, and Britta Smith are longtime friends and now business partners for their new boutique—blue arrow boutique. The boutique’s vision for Superior lines up very closely with the progressive intent of The Development Association. blue arrow boutique appreciates The Development Association and their push for changes that will create an improved economic situation. They see Superior streets filled with individuals looking to experience a bustling downtown. blue arrow boutique has exemplified that actions speak far louder than words by capitalizing on the opportunity to open up blue arrow boutique. 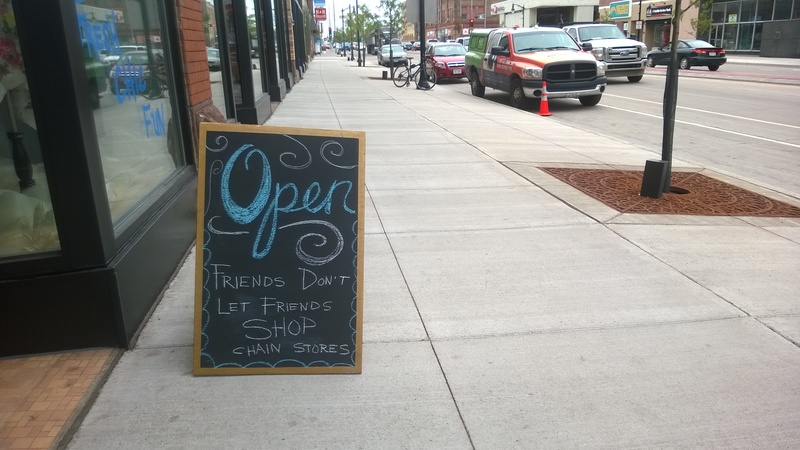 They started now in hopes that other businesses would surround them. Their risk has already begun to pay off. 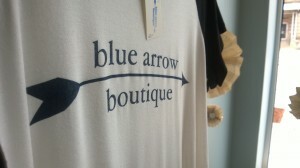 blue arrow boutique was expecting to come into a somewhat slow start, but they have quickly gained momentum. blue arrow boutique has only just begun to prove that Superior is a place to do business and that Tower Avenue is a perfect fit for new and exciting business opportunities. Head on over to blue arrow boutique at 1404 Tower Avenue in Superior because these three women will welcome you with open arms. Business hours are from Tuesday to Saturday from 10:00am-6:00pm. If you can’t make it soon, drop by blue arrow boutique’s Facebook page, look for #bluearrowboutique on Instagram, and visit their website at www.bluearrowboutique.com. To get the latest stories and to stay up to date on The Development Association like us on Facebook and follow us on LinkedIn and Instagram!